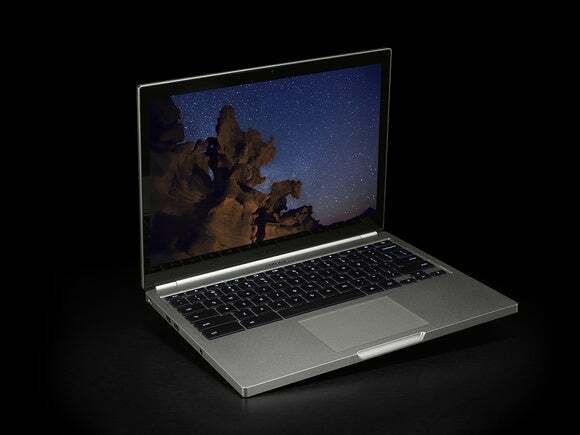 Google’s original Chromebook Pixel strode boldly toward a brighter, more Web-centric world—and left most of us behind, unfortunately. Google’s new Pixel still tries to lead the way, but with apps and services to help justify its updated, premium hardware. Google launched two new Pixels—not the Pixel 2, but the “new Pixel”—on Wednesday, with a $999 base model and a $1,299 “Ludicrous Speed” (LS) version. You’d be hard pressed to tell the new Pixel from the original one; set side by side, the two clamshell notebooks look almost identical. Both go on sale today from the new online Google Store, together with a few accessories. But the “new” Pixel improves on the older model in a few key ways. Google included two USB-C connectors, doing one better on the solo reversible USB connector that appears on the new Apple MacBook. And inside, thankfully, is a new fifth-generation Core i5 “Broadwell-U” chip, which will help extend the Pixel’s battery life from a woeful five hours to a whopping twelve. As before, the Pixel is powered by a combination of Google’s Chrome OS and Google’s cloud services, which include Gmail, Google Drive, and the Chrome browser, as well as something new: a small collection of apps, which can run on top of the Chrome OS and add functionality the original Pixel lacked. Hardware aside, it’s these services that will make or break the new Pixel. Andrew Bowers, director of consumer hardware at Google, said the goal of both generations of Pixels remains the same: to provide a Chromebook for power users. In the original Pixel, that technology was the vast trackpad that eventually made its way to other Chromebooks. With the new Pixel, Bowers said, that will be the USB-C technology that will stand in as both a power and display connection. The $999 basic model includes a 2.2GHz fifth-generation Core i5, 8GB of memory, and a 32GB SSD. The $1,299 “Ludicrous Speed” (LS) model packs a 2.4GHz Core i7, 16GB of RAM, and a 64GB SSD. Otherwise, both are identical: They include a lower-power version of the original Pixel’s 12.85-inch, 2,560x1,700 (239 pixels per inch) 3:2 touch display, with an improved sRGB color gamut, and powered by an Intel HD Graphics 5500 chip. In addition to the dual USB-C connectors, the new Pixels offer two legacy USB-A ports and an SD card slot, with Wi-Fi 802.11ac inside. The new Pixels also weigh 3.3 pounds, measuring 11.7 inches by 8.8 inches x 0.6 inches—about a millimeter thinner than the last Pixel, and just slightly lighter, too. Google tosses in a terabyte of Google Drive cloud storage for three years, but you'll find no LTE option, as with the first Pixel. “We found users were tethering their Pixels to their phones,” Bowers explained. As on the MacBook, the USB 3.1 technology running across the USB-C connector also provides power. The Pixel’s new quick-charging technology provides about two hours of charge in 15 minutes. All told, the new Pixel should provide about 12 hours of battery life based on Google’s own tests, with the display running at 40 percent of its rated 400 nits of luminance, Bowers said. A few new technologies work to cut power, Bowers said. First, there’s the processor itself. Second, the display power was reduced by panel self-refresh technology that reduces the power by caching information inside the display. Third, Google uses built-in, content-adaptive backlighting that adjusts the brightness to what’s being shown on the screen. Finally, sensors in the trackpad and keyboard turn off the keyboard backlight if your hands move away for more than 30 seconds. You can also tap the light bar on top of the Pixel twice to see your estimated remaining battery life. The same cable can also pump 5Gbits/s of data to an external monitor, capable of driving a 4K display at 60GHz, Bowers said. Google will sell two display adapters—a USB-C to DisplayPort, and a USB-C to HDMI—for $40 apiece. 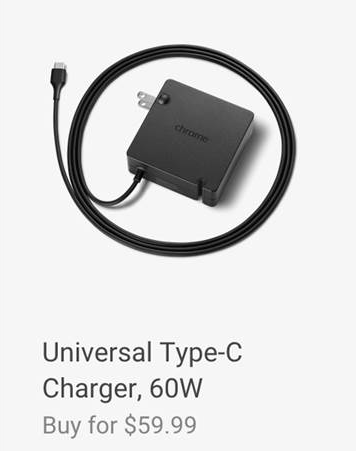 Additional USB-C to USB-A adapters will cost $12.99, while a backup 60-watt charger will cost $60. The first Pixel struggled for relevance in part because Google lacked showcase apps to justify the power of the Pixel. Its one attempt, the interesting 100,000 Stars, is part of what Google calls Chrome Experiments, which tap the 3D graphics capabilities of the Pixel and PCs using the WebGL language. Google recently said those Experiments now number 1,000. Unfortunately, the Chrome Experiments are more curiosities than anything else. Today, the candidate for showcase Pixel app might be Adobe’s streaming Photoshop app that the company showed last year, which can use the display to best advantage. At this point, though, it’s still in testing. Last year, Google also showed off four Android apps that can run within Chrome—but a clever hack also lets you run pretty much any Android app, too. Chromebooks recently gained the ability to run a handful of Android apps. What will push the Pixel to its limits? “Games,” Bowers replied, naming Bastion—the only real big-name game ported to the platform—as the one candidate. But there’s also the typical power user, who has 50 or so Chrome tabs opened, Adam Rodriguez, a Google product manager, noted. There's a surprising number of apps inside the Chrome store—something that wasn’t available when the first Pixel debuted, two years ago. With a richer app ecosystem, there are more reasons to buy a Pixel. The new Pixel obviously means that rumors of a Google two-in-one Pixel aren’t true—at least for now. Bowers declined to comment when asked whether Google was planning a future two-in-one. He was more forthcoming, however, when asked about a Yoga-like Chromebook “easel” that could fold backwards into presentation mode. “It’s definitely a form factor we’re seeing more interest in,” Bowers said. He said he was aware of a “number of Chromebooks either with that or coming out” with that capability. But Bowers declined to say whether one report of a Chrome OS tablet that could run Android when undocked was true. “There are lots of crazy rumors out there,” he said. The question that dogged the original Pixel, however, remains: What is it good for? 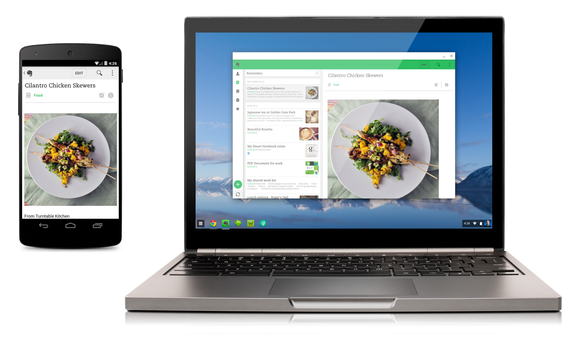 Google executives have a better answer for that with its new Chromebook. There’s still no way you’ll mistake the Pixel for a Windows PC, but there’s at least there’s lots more to do with the Pixel this time around.